For those who love the water, owning a boat makes perfect sense. Depending on the type of boat you own, you get to enjoy the water in a unique way. Moved by the wind, a sailboat can be used for a relaxing evening cruise. Powered by many "horses," a speedboat serves up adrenaline-pumping fun. Along with the immense pleasure that a boat can bring, it is also possible to face stressful events if a boat is not properly maintained. One of the important considerations boat owners must make is how to store their boat for the greatest amount of protection. In many areas, it is possible to keep a boat in the water year-round. Even in some of our local areas, this is a possibility, one that comes with a bit of extra maintenance. There may be times, however, when the most suitable course of action is to remove a boat from the water for a time, even if the water does not freeze. For example, seasonal boaters who use their watercraft only every now and then in the spring and summer may find that their boat is best suited for dry dock storage during months of non-use. Dry dock storage comes in various forms. Some may park their boat right in their driveway or in front of their home. Some may build a boat shed on their property for covered storage. These solutions may seem convenient but they are not suitable for every boat owner. Many of our local communities simply lack the space on which a shed can be erected. Driveway storage for a family with two daily-use vehicles can be inconvenient. In several areas, there are regulations that inhibit RV storage in residential areas. Keeping your boat at home may seem like a good idea, but may not work for your lifestyle and community regulations. 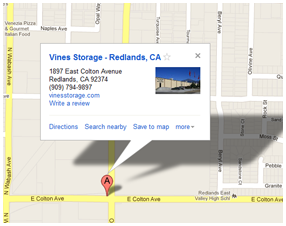 For this reason, it pays to consider the indoor and outdoor facilities and Vines Storage in Redlands. Outdoor boat storage remains one of the most popular lease packages in the Southern California region. An outdoor parking spot on a secure property with 24/7 surveillance provides peace of mind and convenience. Driving in and out of your secured boat storage is straightforward and gets you to the water quickly. When returning from one of our local bodies of water, our amenities make it easy to prepare your boat for storage. Contact us to learn about our flexible leasing and month-to-month packages. Boat Secure Storage Redlands - Safely secure your boat outdoors in our Redlands storage area.